Thanks for reading, everyone! I’m doing my first day blitz, but will come back to talk about Cherry Hollow, my move to KU with my books, and my other projects soon. Thanks! Brodie Miller is an alpha who has had a rough year living in the city. His omega maxed out his credit cards and left him high and dry. The failed relationship sends Brodie running for a free room at home and the familiar comfort of small town living in Cherry Hollow. He finds a serious job, and a side hustle as a bartender, to start digging himself out of trouble. Porter Eastwood was born into an influential, Cherry Hill family. He never missed out on anything money could buy. Entangled in the Eastwood family business, Porter is unhappy with his job, and if that isn’t enough to make him miserable, he’s a failed omega who has never been in heat. When Porter finds himself infatuated with the new bartender at his favorite drinking spot, sparks fly, and they tumble their way into bed. Much to Porter’s surprise, it sends him into his very first heat. Brodie steps up to the challenge, the first man to make Porter feel truly cared for, but their amazing chemistry can’t stop reality from creeping in. Porter is still an Eastwood, and Brodie didn’t grow up on Cherry Hill. Porter soon realizes he made a serious mistake during his heat, and a baby is on the way. Brodie’s day job has him delving into the seedier aspects of the Eastwood empire. With Brodie getting closer to finding out if the Eastwoods are involved in illegal activity, and Porter carefully counting down days until he might start to show, will they be able to make their relationship work? Sheriff Trent Miller was happy with his perfect little life. Being a thirty-six-year-old omega with no partner or family suited him just fine, until it all changed. When he ran out of his heat-suppressant pills and his doctor refused to prescribe more, he had his first heat in years. Around the same time, a young alpha who drives him crazy started working as his partner. Lawson Fisher hated Cherry Hollow. He only returned to his small hometown to help his papa when his dad was diagnosed with cancer. Working alongside Sheriff Miller was frustrating at the best of times, but when Trent went into heat, Lawson felt it was his duty to help him through it, like any good alpha. Besides, he couldn’t seem to keep his hands off Trent. The more time Lawson spends with Trent, the more he realizes the omega isn’t as bad as he first thought. When they find out Trent’s pregnant, both their lives change. They need to decide the best thing to do for themselves and their baby, especially since not everyone in town is rooting for them to have a happily ever after. Book #3 in the Cherry Hollow Series coming in April 2019. I love sci-fi. I grew up on a steady diet of Dune, ST Next Generation, Firefly, and, of course, repeated viewings of Star Wars. In college I was even geek enough to play the Star Wars RPG, and I am, indeed talking table top games here. Based on the blurb, this story looks like it will be a good one for anyone who fell in love with deep space. Plus, the cover reminds me of a 1960’s movie poster, which I have to say I love. Louise lives in the UK, about an hour north of London, with a mad dog called Casper, collection of tropical fish and tarantulas. She works in the insurance industry by day, and spends every spare minute writing. She is a keen horse-rider, and loves to run long-distance. Some of her best writing inspiration comes to her, when her feet are pounding the open road. She often races home afterward, and grabs pen and paper to make notes. The Cover for Trust Trade…Revealed! Overall, this has been a rather fantastic week. I got to see a good friend who lives out of town, my wee imps are off to spend time with Sugar Plum’s mother (giving me valuable writing/present wrapping time), and Erie, my wonderland by the lake, is scheduled to be buried under about 2 feet of snow. My kids will be ecstatic to try to build a snowperson. I would say a “snowman”, but honestly I’m pretty sure lumps of snow aren’t gender specific, and even if we did want to get all Michelangelo with it, I have a feeling our fingers might freeze off before we got anything more than a round bottom and …well, I’ll be real…it will be a big ball with sticks jammed into it, most likely. We shall make snow blobs and put hats on them. I’m lazy. Sue me. But they aren’t big enough to do more than cursory snow patting while I push around the big mound of snow. Ah…distracted, anyway, this week is one of the best weeks ever because I finally got the COVER for Trust Trade, my newest book! So freakin’ pretty. Thanks Bree Archer for the fabulous cover design! Life hasn’t been good to Jeb Birchman. When he attempted to escape his abusive, zealot father, he found himself on the streets, making a living the only way he knew how, the victim of more violent men—one of whom orchestrates a series of vicious attacks that leave Jeb deaf. Now that he’s aged beyond his latest client’s interest, Jeb knows he needs to escape his risky lifestyle before it’s too late. Seeing one last chance for himself, he earns a GED and enrolls in college. Freddy Williams enjoys a life that couldn’t be more different from what Jeb has survived. He loves sports, being a personal trainer, and hanging out with friends. The son of deaf parents, Freddy is an outspoken advocate of the Deaf community and works as an interpreter at his college. When he meets Jeb at the bookstore, he’s struck by how attractive he is, and as they get to know each other, he finds Jeb’s good heart just as appealing. By the time he learns of Jeb’s past, it’s only a few steps behind them, and Freddy must make a choice between school and his familiar routine and protecting the man he’s falling in love with. While you’re waiting for the release date on January 27th, why don’t you check out some of my other books. Threefold Love is M/M/M if that’s up your ally (also was a Rainbow Award Runner Up last year in 2 categories). The Paranaturalist is …well, paranatural. I like it. If werewolves are you thing, The Shape of Honey is pretty good, though be warned, there is a female POV in that one that some people aren’t a fan of. I can’t wait for the release date on Trust Trade because I’m currently perfecting the draft of another book in the Gem City Grit world, tentatively called Love It Like You Stole It, but I’m not entirely wedded to that title, so don’t imbed it in your memory yet. I’m also in the process of rough drafting a third book in the Gem City Grit world…so, there’s definitely more to… come. I just laughed at myself there…I think I need a nap, or bed, or something. I’m pleased to be involved in the cover reveal for the lovely Grace R. Duncan’s Patience, the second book in her Forbes Mates series. It may be bad form to admit this, but I haven’t read the first book yet, though those of you who follow me probably realize I have a fondness and weakness for werewolf stories. I’m going to drop this series onto my TBR pile! If you haven’t read it yet, now would be a great time to check out Devotion, Forbes Mates #1 and where you get to meet Jamie first. Find out more about Devotion and see how you can get Tanner and Finley’s story here: http://www.grace-duncan.com/devotion . 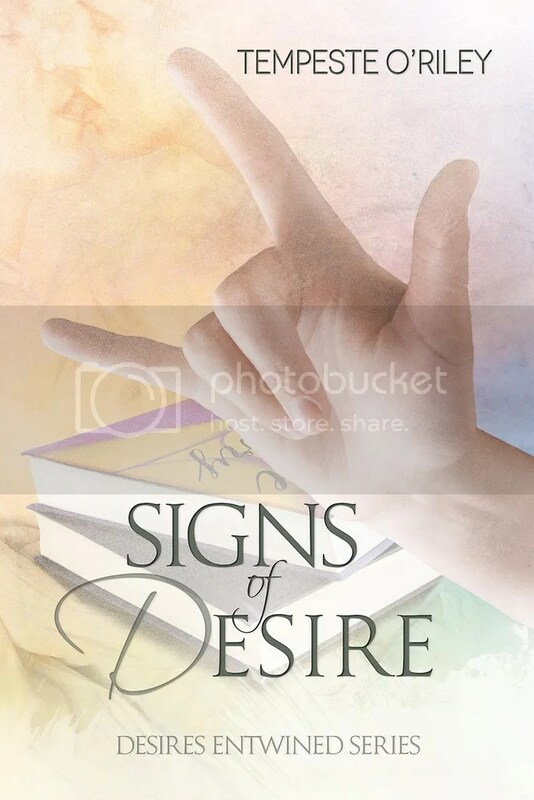 I’m happy to be a part of Tempeste O’Riley’s cover reveal for Signs of Desire. I’m going to be reviewing this one as soon as it hits the virtual and literal shelves, so I’m doubly excited. The darkness of the parking lot stretched out in front of Adrian Keys, and the door to the Mexican restaurant spilled light onto the pavement every time someone opened it to exit or enter. Stupid. He regretted letting his friend talk him into going out with “the guys.” By the time he reached the door, he had almost talked himself out of going in, but no such luck. A gentle tap to his shoulder broke him out of his paralysis. When he turned, he was face-to-face with Chase, his one-time date turned friend. Distracted by his concerns, he barely noticed Chase was dressed in a light blue button-down shirt that conformed to his lean and lithe chest. He wore low-rise black jeans that were faded on the thighs, chunky biker boots, and a platinum wrist cuff on one wrist—Adrian knew the cuff was new. When they’d met, Chase had worn a double-buckle black leather one instead. The thing that caught his attention, as it always did, was Chase’s eyes. They were one part amber, one part blue, and another part green, with the most beautiful flecks of gold in them. “Hi, Adrian. You’re not leaving already, are you?” Chase signed. Adrian loved how hard Chase worked to improve his ASL and how he always used it with him now. Even though he could read lips quite well, communicating in his native language and style was more fluid and comfortable for him. The grin that spread across Chase’s face was both endearing and unnerving. “There’s only a few of us, and it’s really good food. Promise.” He winked. “Tonight is a night for fun!” Before Adrian realized what was happening, Chase draped his arm around Adrian’s shoulders and pulled him in for a hug. Adrian allowed Chase to drag him inside, and before he knew it, he sat at a long, curved booth with six others, including Chase. Warmth blanketed him on all sides thanks both to the warm bodies and the heater that valiantly fought off the frigid temperatures outside. Milwaukee in the early spring was cold, icy, and just plain miserable to be out in, though he would take cold over heat any day of the week—you can always put more on, after all. They all replied with heys and his as he looked between the men. 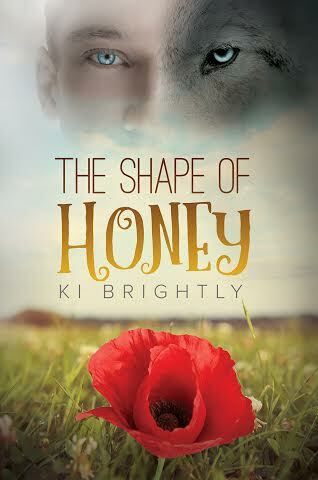 Now that you’ve been dazzled by what is yet to come from O’Riley, take a second and check out The Shape of Honey! M/M Werewolf Romance. Available from Amazon and other retailers.